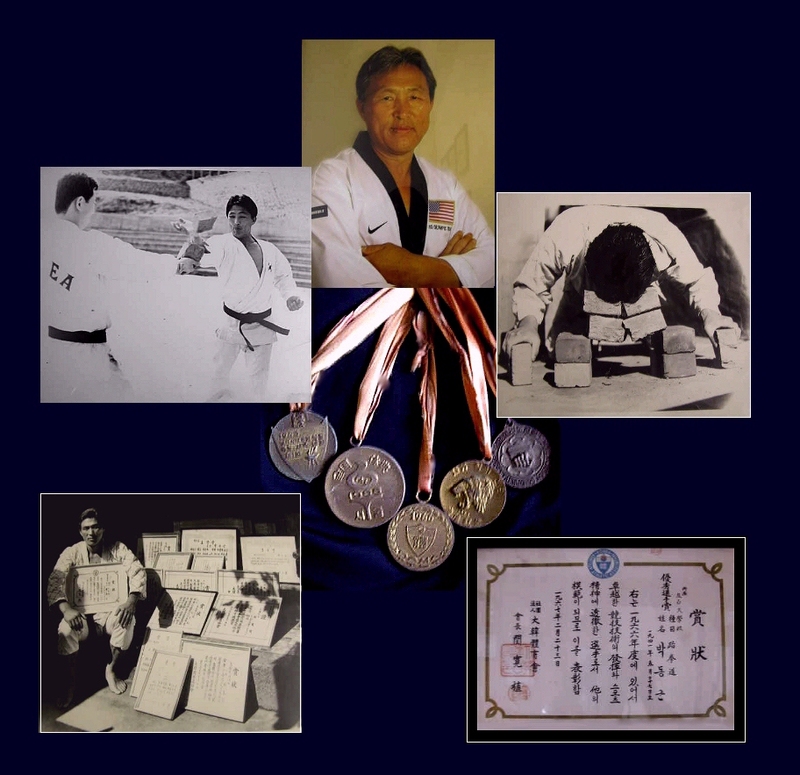 bring and teach TaeKwonDo to the Thai royal family and U.S. military. 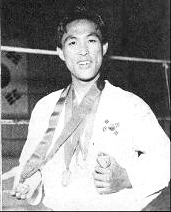 Named 1982 Coach of the Year by the A.A.U. 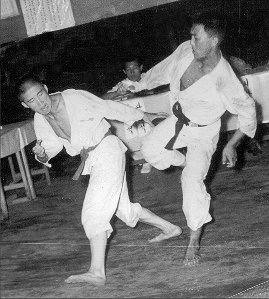 Taekwondo players of all time. 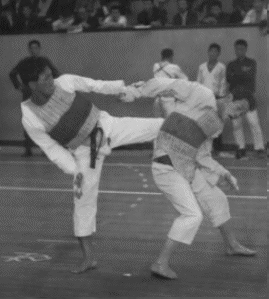 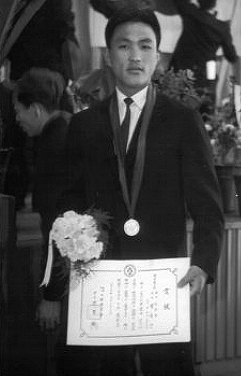 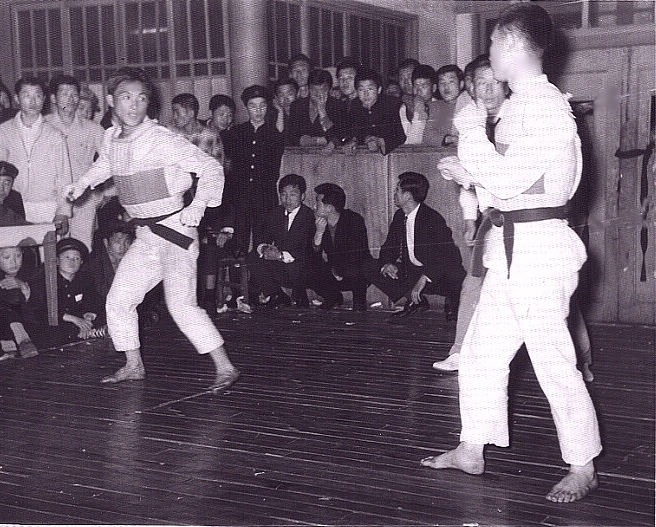 Hankuk Gymnasium (Jido-kwan) in 1964. 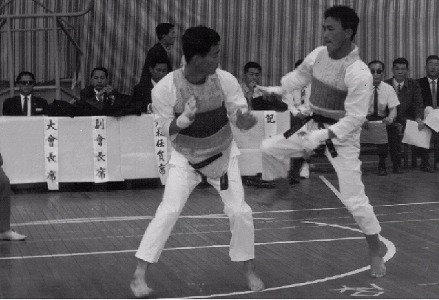 Both were well known champions in Korea at that time. 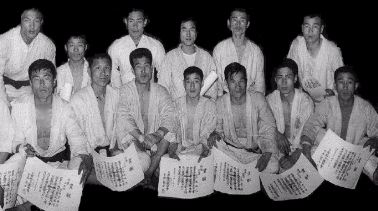 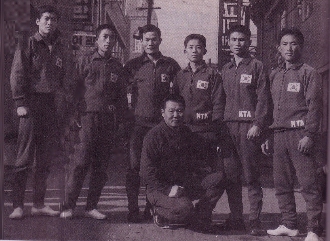 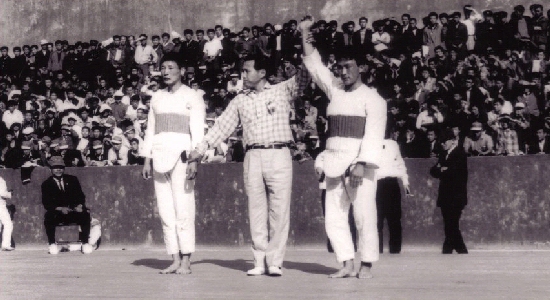 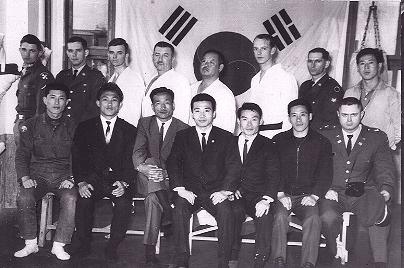 DK Park (top-left) and other Champions at Tae Soo Do Hqts. 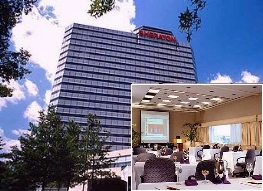 Reserve Your Seat in History Now!